She recommends keeping things simple, adding only one or two decorative items to the table for example, a centerpiece and place cards. Centerpieces One suggestion in the April issue of Woman’s Day is that kids place wheat grass (bought at a garden center) in a shallow dish and decorate it with spring flowers, such as tulips and grape hyacinth, along with dyed Easter eggs. The magazine used several medium-size, square vessels from The Container Store and ensured that the cut flowers would last longer by sticking each stem in a water pick, or little tube (available at florists or crafts stores). 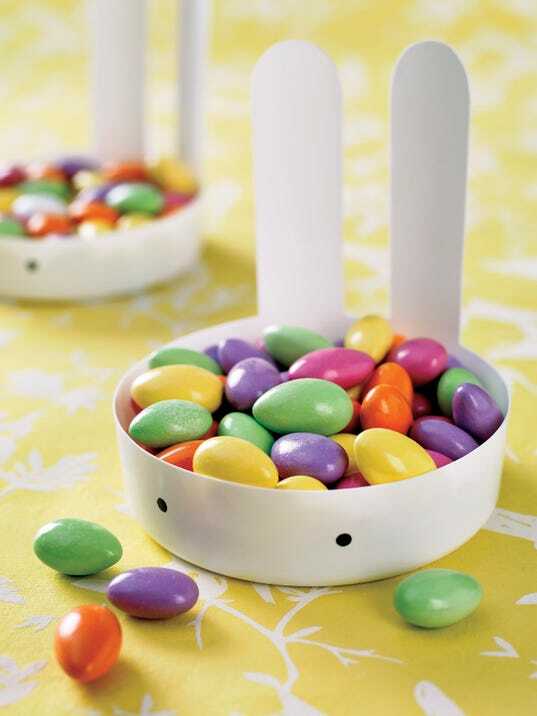 Prepare a brunch table for Easter that’s big on charm and low on effort. Make the most of your Easter celebration by preparing a brunch table with a few easy, handcrafted items. “A couple of special touches will make it feel like a more special gathering,” said Taryn Mohrman, senior lifestyle editor at Woman’s Day magazine.